The 2018 FIFA World Cup has been a one hell of a ride for all football fans. 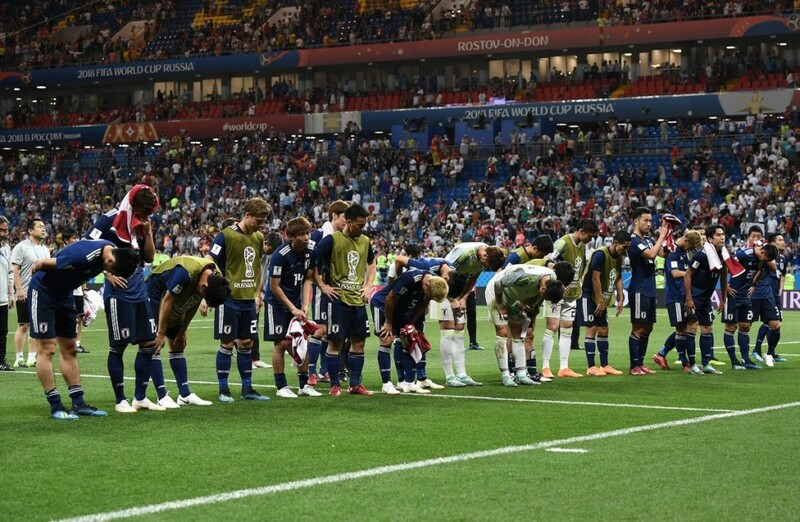 Besides the unexpected victories and losses by certain teams, the behaviour portrayed by the Japanese is the next thing that caught everyone’s attention on social media. Throughout the games, they’ve displayed impeccable discipline regardless of the outcome of the matches and thus, set an outstanding example for other countries’ fans to follow. 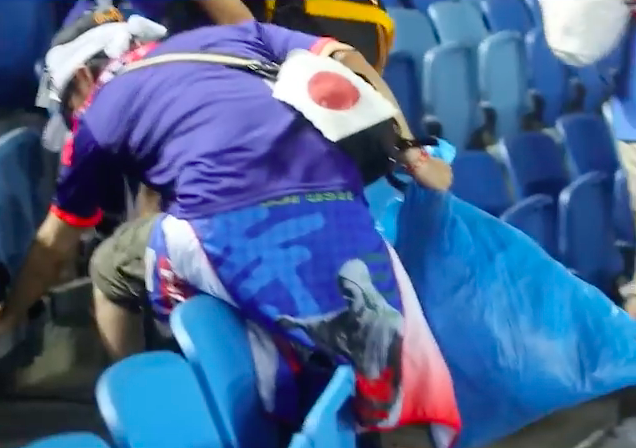 So, here are the four moments when Japanese footballers and fans inspired us to be better human beings on this planet. 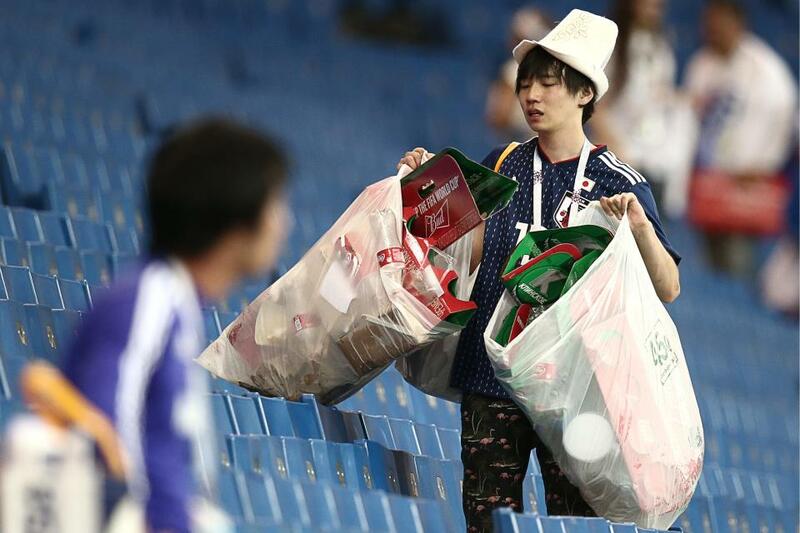 Winning the match was a big deal for them, but instead of getting carried away with their victory, the Japanese supporters stayed back to pick up trash that was left all over the place. 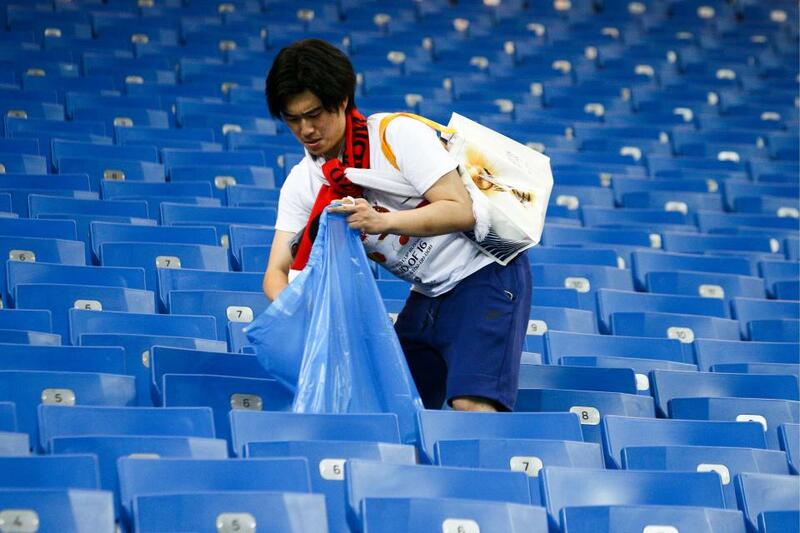 Obviously, they came prepared too as they brought along waste bags to clean up after. 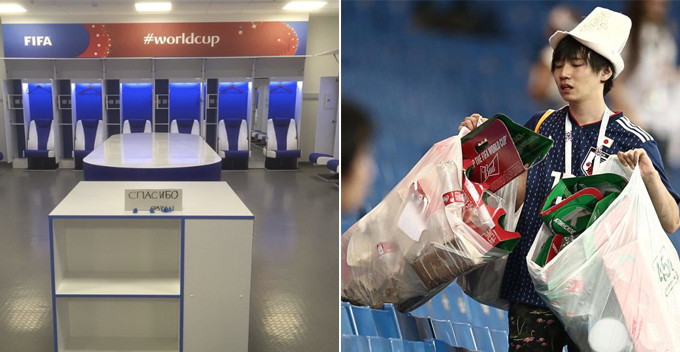 Bags after bags of trash were collected on that day, and they’ve even inspired Senegal fans to do the same! The defeat had devastated the fans as tears could be seen streaming down their cheeks by the end of the game. However, that didn’t deter them from abandoning their discipline. They whipped out big waste bags and went row by row to collect bottles and other rubbish left by spectators. They might’ve lost the match, but they didn’t lose their class! No doubt losing a match was soul crushing for them, but they didn’t forget to thank their loyal fans who’ve been cheering for them since the beginning. Before exiting the field, the players bowed to their supporters to express their gratitude. We know you’ve tried your best! They were leading the game 2-0 but luck wasn’t on their side during the second half of the game. The Belgium team took lead and won the game 3-2, thus ending Japan’s dream of clutching that elusive trophy. We can only imagine the frustration and devastation they had to go through that day. 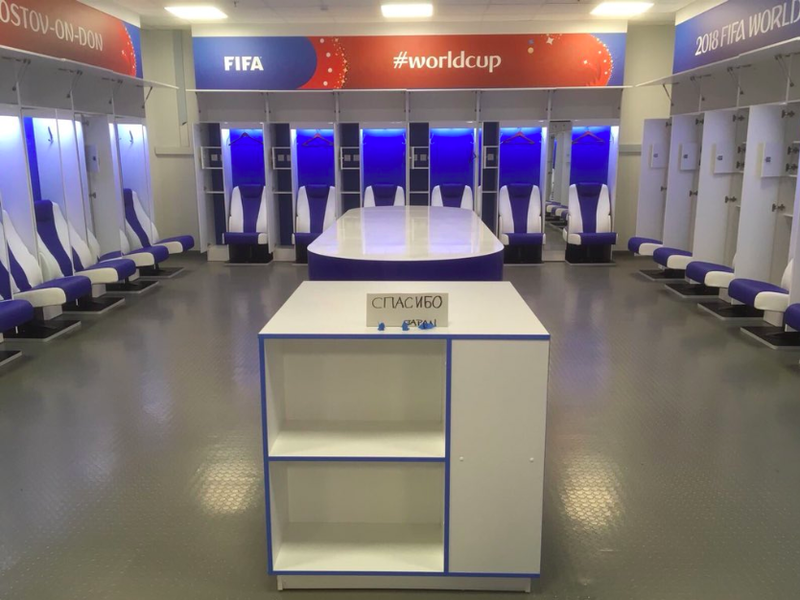 However, instead of venting their anger in the locker room, they left the room spotless and everything was in order. They even wrote a ‘thank you’ note in Russian to show how grateful they were towards the host! 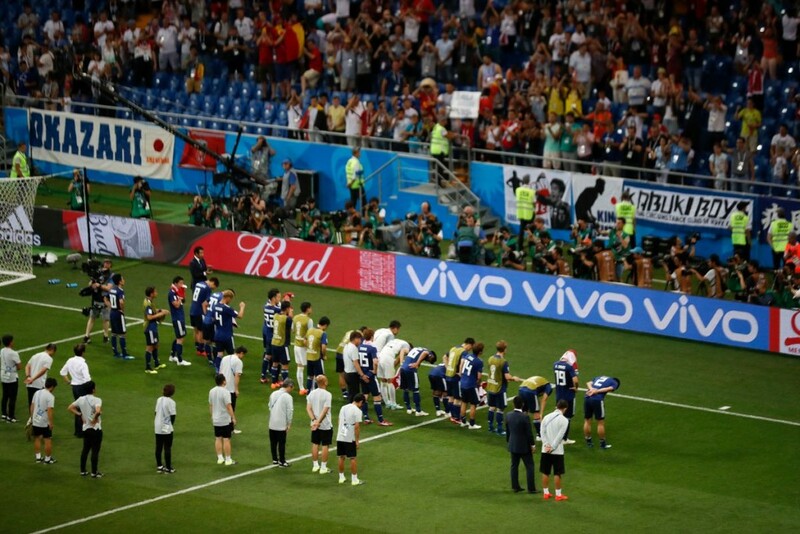 Although the Blue Samurai didn’t advance to the final, they’ve taught the world the true meaning of sportsmanship and what it means to be world-class players. 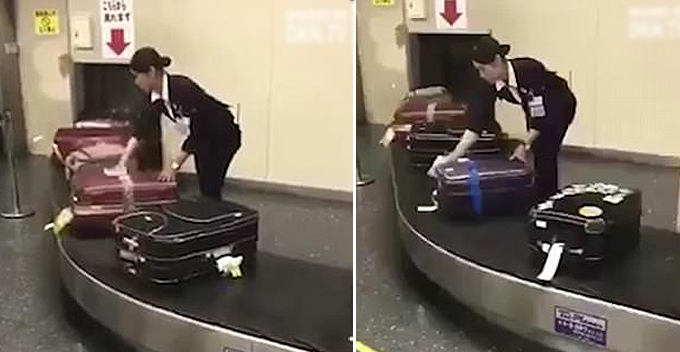 Their behaviour has set a high standard that none of the other countries can come close to. They may have lost the match, but they’ve certainly won the hearts of many. Kudos, Japan!